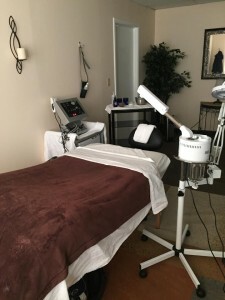 Viata Skin and Bodywork provides massage therapy and skin care in the Denver/Lakewood area. The mission at Viata Skin and Bodywork is to provide individuals with high-quality therapeutic massage, skin care, knowledge, and products that allow them to take a complete and natural approach to personal care. Professional organic plant-based products are used in combination with homemade blends free of harmful chemicals. Focus in massage therapy is placed on a number of different techniques ranging from Sports and Deep Tissue to Swedish and Prenatal utilizing whichever would be most beneficial for the dedicated athlete, those recovering from injury or surgery, or the individual who just wants to be pampered. Handcrafted personal care products reflect a simpler time when people used nature’s gifts and lived chemical-free. These all-natural products called Viata are used in facials, foot reflexology treatments, and complete body massages to relax you from your everyday stresses. Professional line Green Envee is also used in facial treatments. These products are available for purchase. 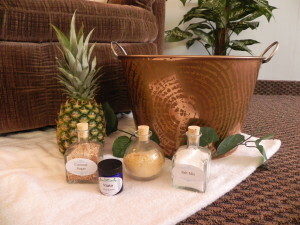 A massage or facial from Viata Skin and Bodywork is unmatched by any other. Come experience why everyone feels less tension, less stress, and less pain following any session. After all, age is just a number!